Expectations were low for the Boston Celtics as the playoffs got underway. With Kyrie Irving and Gordon Hayward out, there wasn’t much hope for them. But then they proved they are still a force to be reckoned with by taking down the Milwaukee Bucks in Games One and Two. Milwaukee earned a nice win in Game Three, 116-92, but if the series was going to get interesting, they needed Game Four. If Boston wanted to take control of the series, they needed to win one in Milwaukee. Throughout the first half, it didn’t look like the Celtics had even a remote chance of winning the game. Boston got out to a quick 12-5 lead, but by the time the first quarter came to an end the Bucks had taken command, 24-17. It didn’t get any better for the Celtics in the second quarter. Milwaukee continued to shoot well while Boston struggled. By the time the first half mercifully came to an end, the Bucks had a 16-point lead, 51-35. For the second game in a row, Boston shot around 30 percent in the first half. But with another half to play, the game was still anyone’s to win. Boston would need to buckle down on defense, and someone would have to start making shots. At the start of the third quarter, it didn’t appear as if it was going to happen. 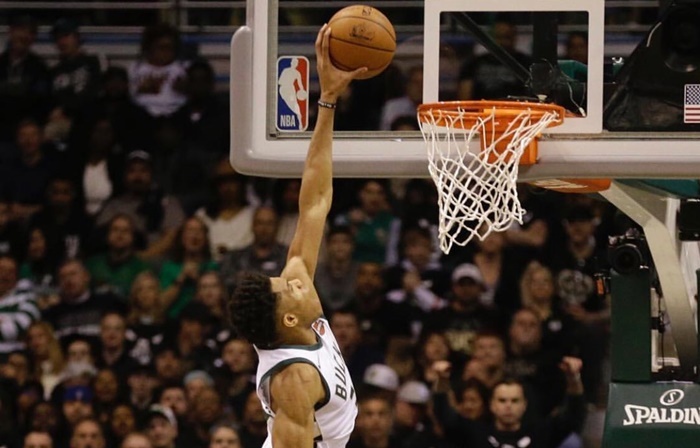 Giannis Antetokounmpo extended Milwaukee’s lead to 20 points, 65-45, with a dunk at the 7:37 mark. But that was when things started to turn for the Celtics. A 12-2 run cut the Buck lead down to ten points, 67-57, with 4:33 to play in the third. The Bucks woke up down the stretch but heading into the fourth, their lead was down to eight points, 75-67. The Celtics quickly erased most of the lead in the fourth but were unable to pull ahead, 100-99, until Jayson Tatum hit a 17-footer with 52.4 seconds to play. A three-pointer by Malcolm Brogdon put the Buck back on top, 102-100, with 33.5 seconds left. Al Horford tied the game up with a pair of free throws a few seconds later. Brogdon missed the go-ahead shot with 5.1 seconds on the clock. But then Antetokounmpo tipped it in to give the Bucks the lead, 104-102. Marcus Morris had a shot to tie the game up at the buzzer but missed a 14-footer. It wasn’t as clean a win as the Bucks thought they were going to get, but it’s still a win. 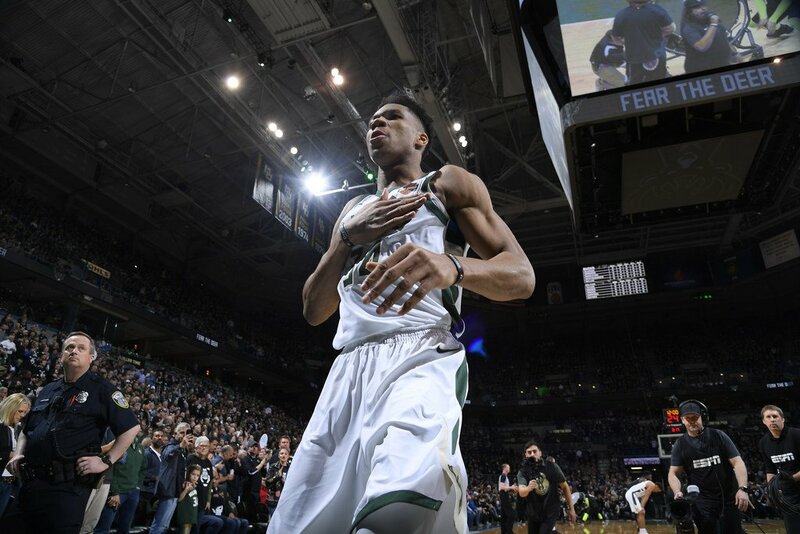 “One of the most important things that we can carry from this game moving forward is that we stayed disciplined and we trusted one another,” Antetokounmpo said after the game (via ESPN). Giannis Antetokounmpo led the way for the Bucks with 27 points followed by Khris Middleton with 23 points. Malcolm Brogdon chipped in ten, and Jabari Parker added 16 points off the bench. After the whole team shot poorly during the first half, Jaylen Brown recovered enough in the second to score 34 points (13-24 from the floor; 5-8 from three-point range). Jayson Tatum added in 21 points, and Al Horford chipped in ten points. The series, now tied at 2-2, will move back to Boston for Game Five Tuesday night. Tipoff is scheduled for 7 PM ET and the Celtics are favored by three.